Granite, marble, limestone, travertine, soapstone and quartz slab material are not exclusive to countertops and flooring but can be applied to many surfaces, including table tops and table bases, desks, shelves, window sills, wall caps, shower walls and bases, tub surrounds, fireplace surrounds and hearths. 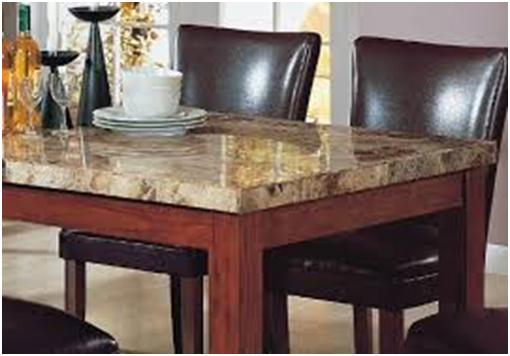 Natural stone and quartz slab table tops combined with appropriate bases are both functional and beautiful. They also offer a versatile design element for you home and will give an immediate boost in the appearance and style of any room, providing textures, earthy colors and a natural ambiance. A solid piece of slab material can be custom cut to the appropriate measurements and used as a single piece for a wide variety of applications throughout your home and office. With an endless choice of colors and sizes, a table top, table base or desk made of granite, other natural stone or quartz slab offers benefits not found in other tables... scratch resistance, heat resistance, stain resistance, and natural beauty. 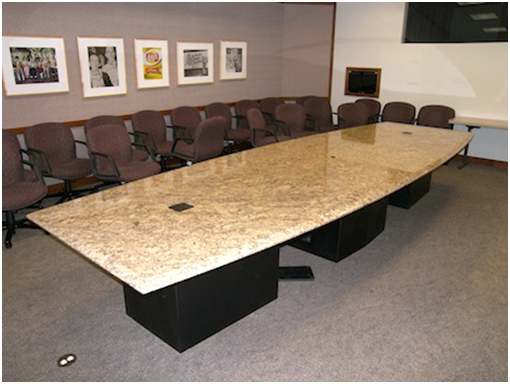 If you are looking for a natural stone, quartz slab table top or table base, or other types of granite furniture to add a rich and elegant look to your home or office, we at Marble Granite Direct can make it for you.